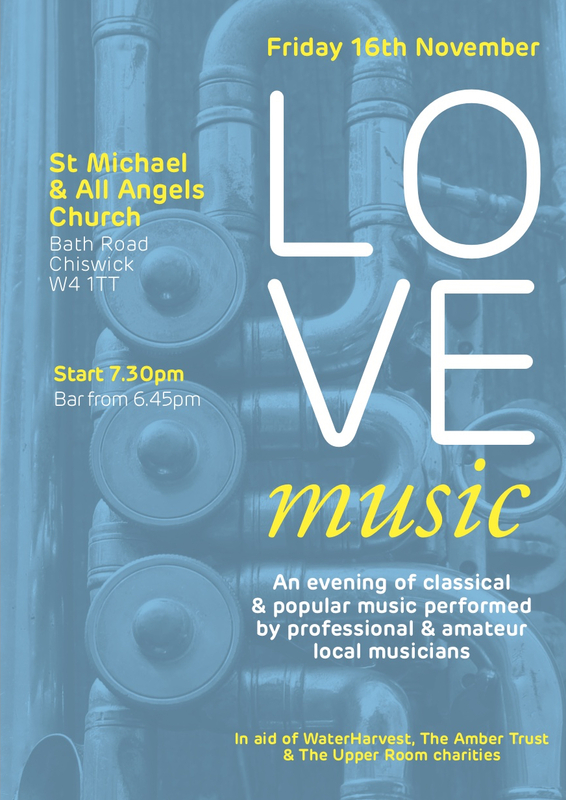 Don’t miss our fourth annual Love Music concert in aid of St Michael & All Angels’ three charities, kindly organised and supported by Bown Design & Build. 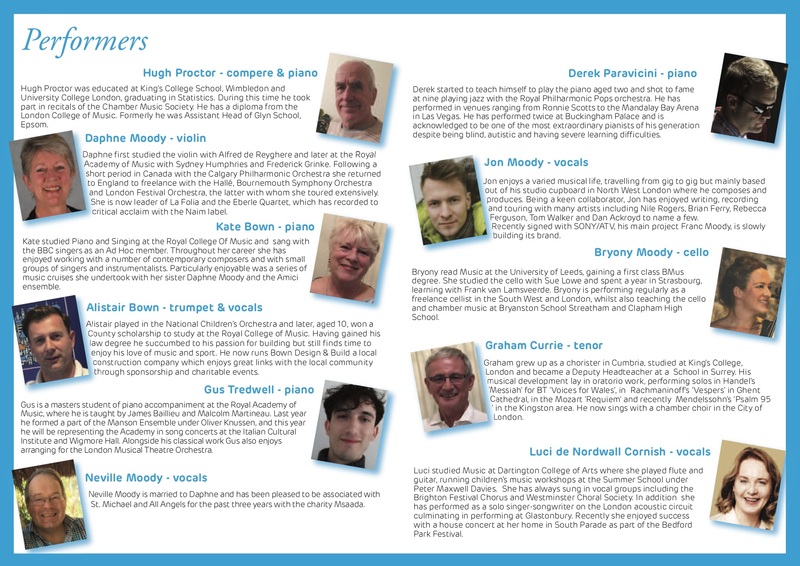 – Once again it features the extraordinary blind pianist Derek Paravacini, who is a patron of one of St Michael’s charities for 2018, The Amber Trust, which helps blind children fulfil their musical potential. You can see a documentary about Derek here on YouTube – In the Key of Genius. – We also welcome the wonderful soprano Luci de Nordwall Cornish, who performed at this year’s Bedford Park Festival, and the Love Music regulars – Bryony, Daphne, Jon and Neville Moody, Alistair and Kate Bown, Graham Currie and compere Hugh Proctor. See biographies below. – As well as The Amber Trust, the concert will raise money for The Upper Room and WaterHarvest, the other two St Michael’s charities for 2018. The concert starts in St Michael & All Angels Church at 7.30pm. The bar is open in Parish Hall from 6.45pm. 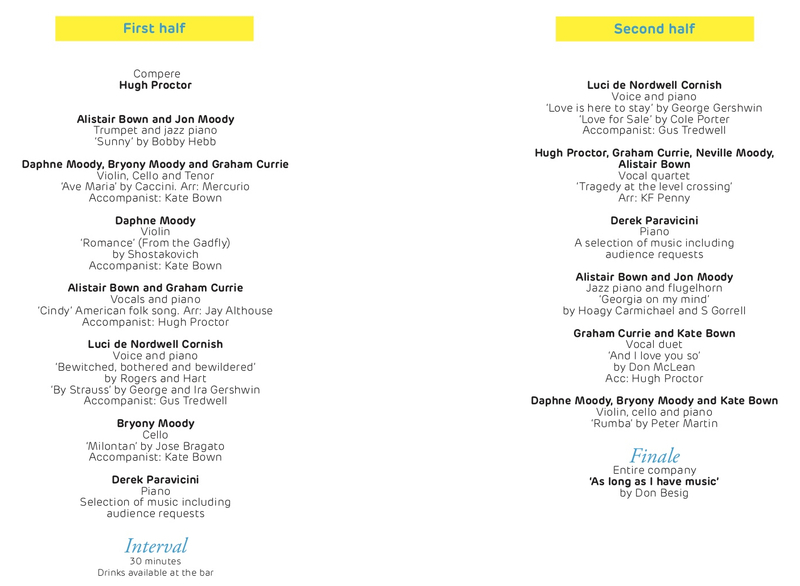 See programme details below – and BOOK TICKETS HERE or buy them at the door.